So you think you’re good at PUBG Mobile? Well, it’s time to put your skills to the test and stand a chance to win a brand new Samsung Galaxy S9. According to a recent tweet from the game’s official Twitter handle, the developers will be hosting a series of Solo Chicken Dinner Events from today until the end of the month and the winners will be rewarded with a brand new Galaxy S9. Sounds interesting? Now if you’re wondering how you can lay your hands on a new Galaxy S9, then all you need to do is head over to PUBG Mobile’s official YouTube channel between EST 20:00-22:00, take part in one of the Sanhok custom room games and beat all your opponents to spice up your chicken dinner with a Galaxy S9. 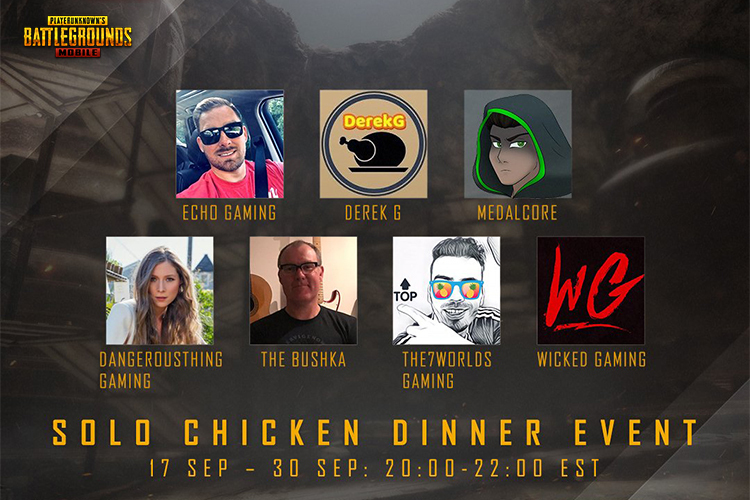 The event will also be attracting popular PUBG Mobile streamers and YouTubers like Echo Gaming, Derek G, Medalcore, Dangerousthing Gaming, The Bushka, The7Worlds Gaming and Wicked Gaming. Indian players might have some trouble waking up at 5:30 in the morning to take part in the event, but I’m pretty sure that we have some dedicated players who won’t be deterred by the odd timings. PUBG Mobile recently rolled out a major update which introduced the new Sanhok map, two new vehicle, weapons and attachments to the game. The update also includes a number of bug fixes and improvements to the game which makes the gameplay even smoother. If you haven’t installed the update yet, then you should hurry up as players who install the update before September 21 will be rewarded with an Outfit Box III (7d) and 1,888 BP.